It’s the little touches that go a long way. Add energy-efficient fixtures such as ceiling fans to help keep the house breezy in the hot summer months. Don’t scrimp on your dishwasher and oven brands. Go as high-end as your budget will allow. Add extra special plumbing fixtures in the kitchen and bathrooms. Updating the taps, adding a water filter, simple things which can be done quickly and cost-effectively. Then there’s the lighting. Creating warmth through lighting can change the ambience of a home in an instance. Don’t underestimate where you’re putting your feet – a nice looking flooring can change the look and feel of a room in an instant. Whether that’s carpet, floorboards, or tiles, just taking some time to think about your target buyer’s needs could see a high percentage return on your investment. Even if you can’t quite stretch the budget to put in new floors, or the floors aren’t really that bad, think about fixing little glitches. Squeaky floorboards, cracked tiles, patching damaged floorboards, and throwing out thin, worn carpets. Like the bathroom, this is a quick win in terms of adding value. And you don’t always need to gut the whole things and start from scratch for it to be a winner. Simply updating the cabinet door, adding a splash back or new tiles, updating the bench top, flooring, and lighting can instantly increase the value. 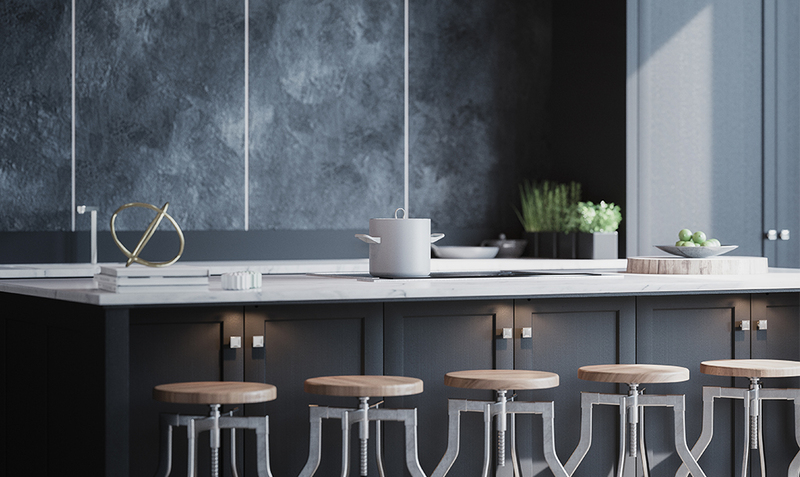 If you can go all out and redesign the kitchen space, again it’s important to keep your target buyer in mind. Are you renovating for families or for young professional couples? If for a family, then keep in mind that a kitchen that overlooks the garden is going to be more practical – that way they can keep an eye on the kids when cooking. However, with a young professional couple, you probably want to think about practicality and style. You want people to walk in and instantly see themselves living there. The quickest way to add value to the home is to update the bathrooms. And surprisingly, it isn’t about making it as fancy as possible, it’s about making it clean, simple, livable, and appealing to the masses. If you can’t afford a complete remodel, simply replacing wallpaper or updating the tiles, replacing the lighting and plumbing fixtures, or even cupboard doors can make a big improvement. The biggest driver of home purchases is the emotional connection people get when they walk into the home. This should be what drives your renovation. Think about who you’re renovating for and spend the money on the designing of a space that they can live in.